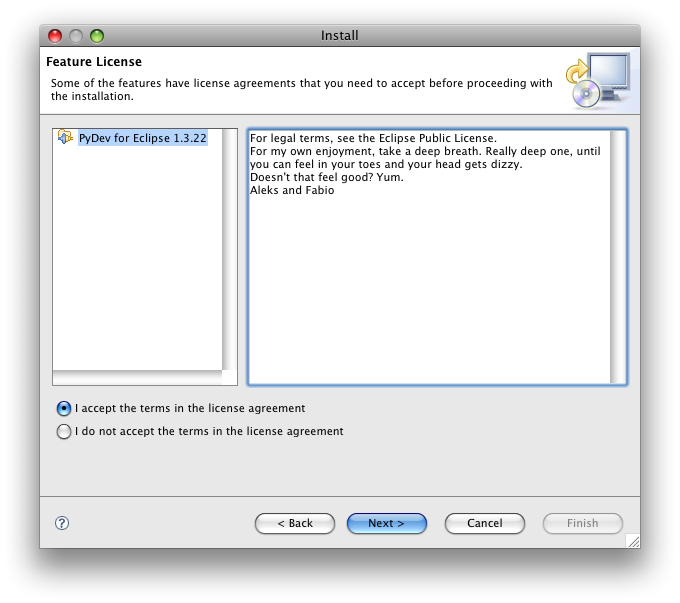 I came across this ‘license agreement’ while installing the Pydev extension for Eclipse. Mecca – A Social Browser for Mac OS X Leopard. 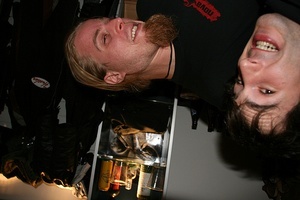 Thanks Olli for pointing it out!